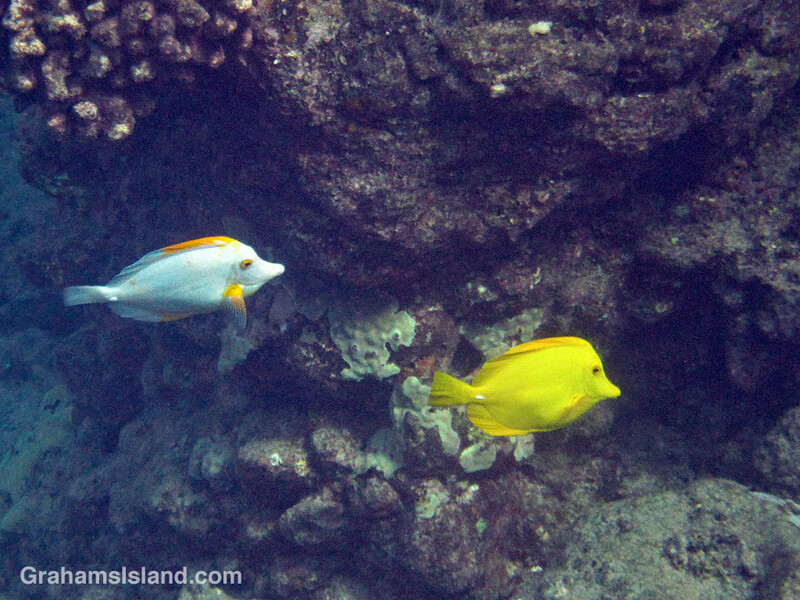 Yellow tang are one of the staple reef fish in Hawaii. 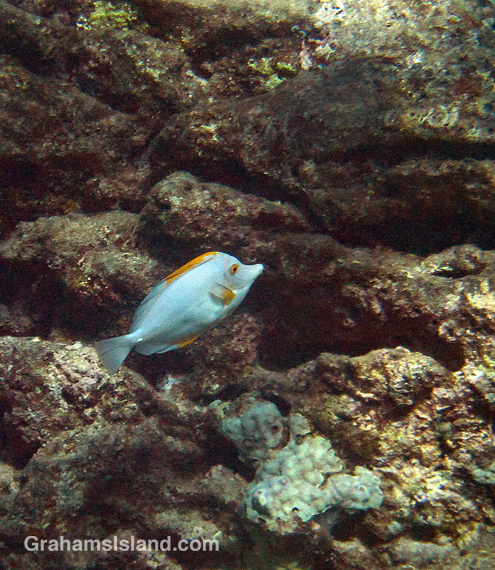 They often putter around in large shoals in the shallows, and since they’re entirely bright yellow, except for a white tail spine, they’re easily visible from shore. The white variation seen here is very unusual. I’m not sure why some are white, but I’ve read that it might have to do with stress or disease. These photos were taken in the same location, a few months apart, but I think it’s the same fish as the markings appear identical.